The Rim of the World Recreation and Park District is authorized by LAFCO to provide the following function: park and recreation. 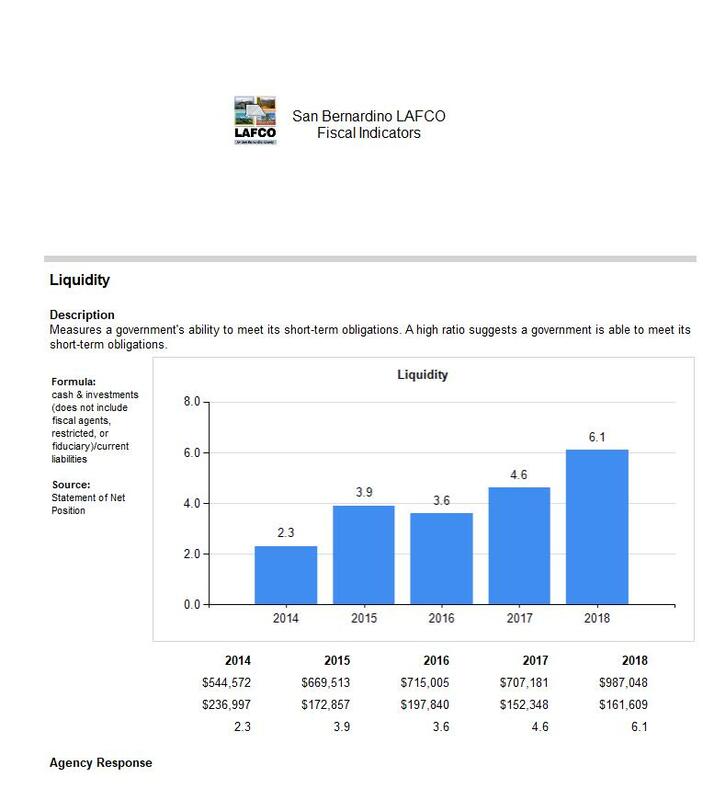 The audits do not identify the district’s annual retirement contribution to the San Bernardino County Employees’ Retirement Association. 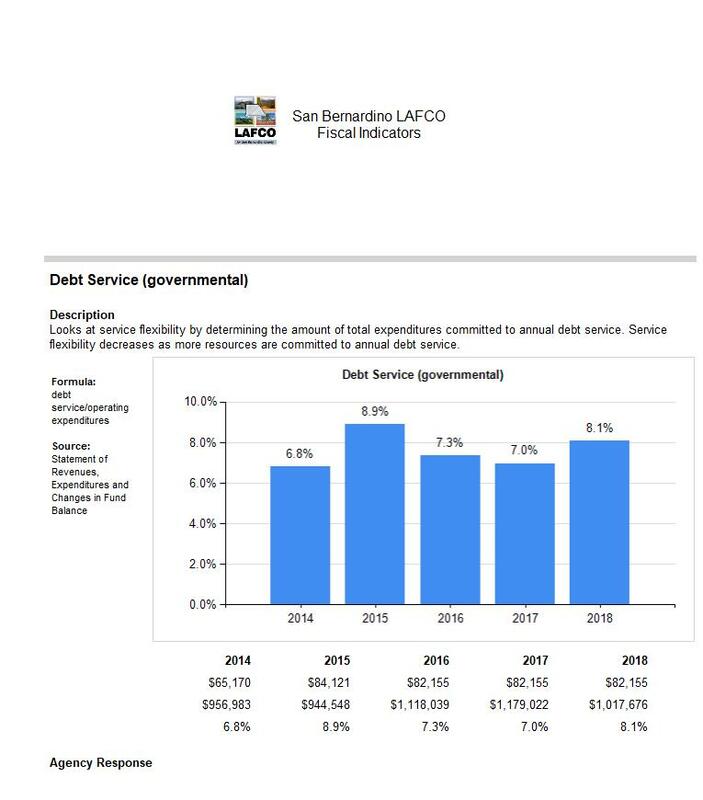 On May 4, 2013 the district withdrew from the San Bernardino County Employees Retirement Association. 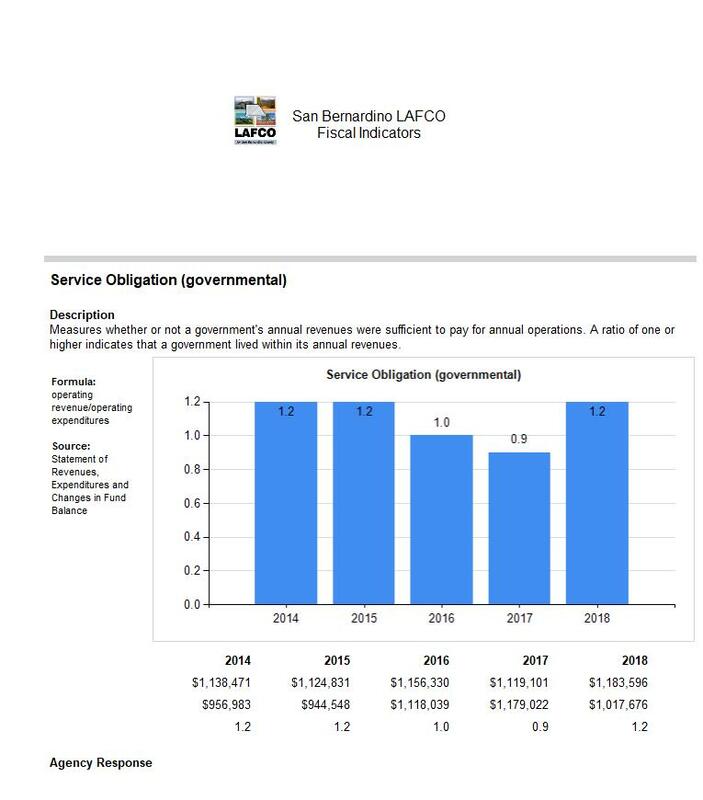 This action eliminated the district’s annual pension obligation for ongoing activities, although it does have an early termination obligation to the retirement plan of $669,204 to be paid in 20 annual installments of $33,460. The district does not receive general levy property tax revenue, therefore assessed value data is not compiled from the County. The district’s primary source of revenue comes from a $22 per parcel special tax for each non-exempt parcel within its boundaries. The district’s service area includes 110 square miles of the Crest Forest, Lake Arrowhead, and Hilltop communities. Additional information on the District can be accessed via the link below.